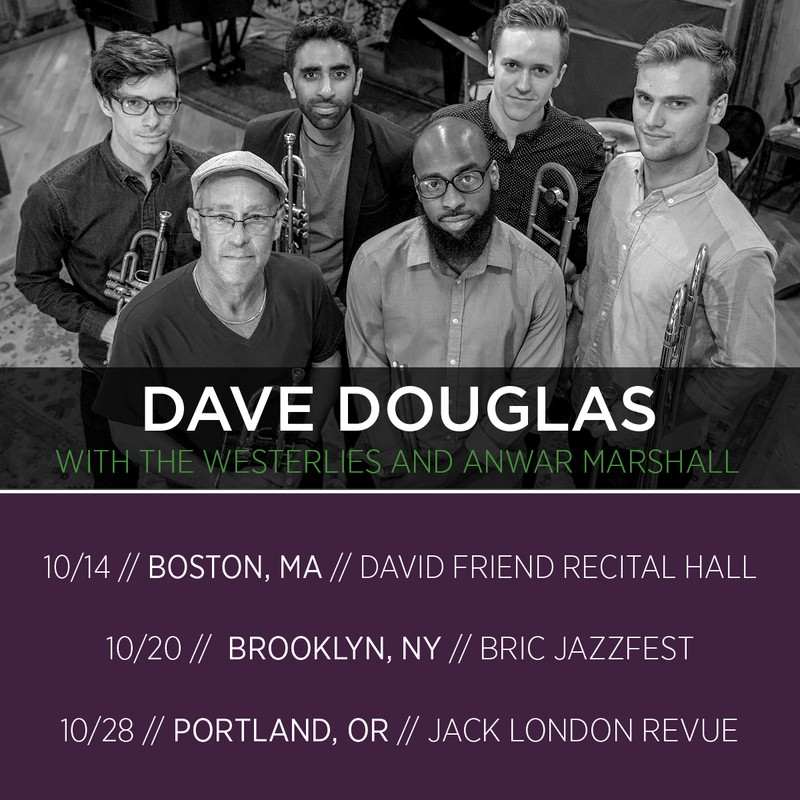 Tour dates for Dave Douglas and The Westerlies with Anwar Marshall! We’ve got tour dates for Dave Douglas and The Westerlies with Anwar Marshall! The sextet plays Brooklyn and Portland (Oregon) in support of their October 20th release Little Giant Still Life. Available now for pre-order on iTunes, Amazon and Google Play, you can also stream the title track on Spotify and Apple Music! Please note that the Boston show has been cancelled.